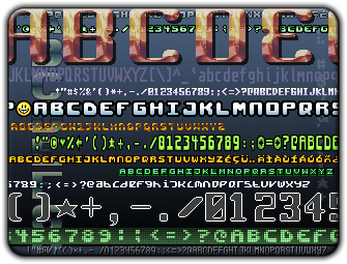 FontPack features a number of bitmap fonts of varying sizes. 8x8, 8x16 etc... These can be used freely in your projects (commercially too).